Paddle Synergy is a fitness workout that combines strength and conditioning exercises with the technical elements of all paddle sports. We use specific equipment and functional exercises that directly improve paddling performance and to prevent injuries. The workouts are done in an enclosed facility with guided personal coaching and structured programming. Your mind and body will be greatly challenged from our training format and ultimately increase your enjoyment on the water! There are plenty of wonderful gyms and group fitness shops out there. The difference is what Paddle Synergy offers. 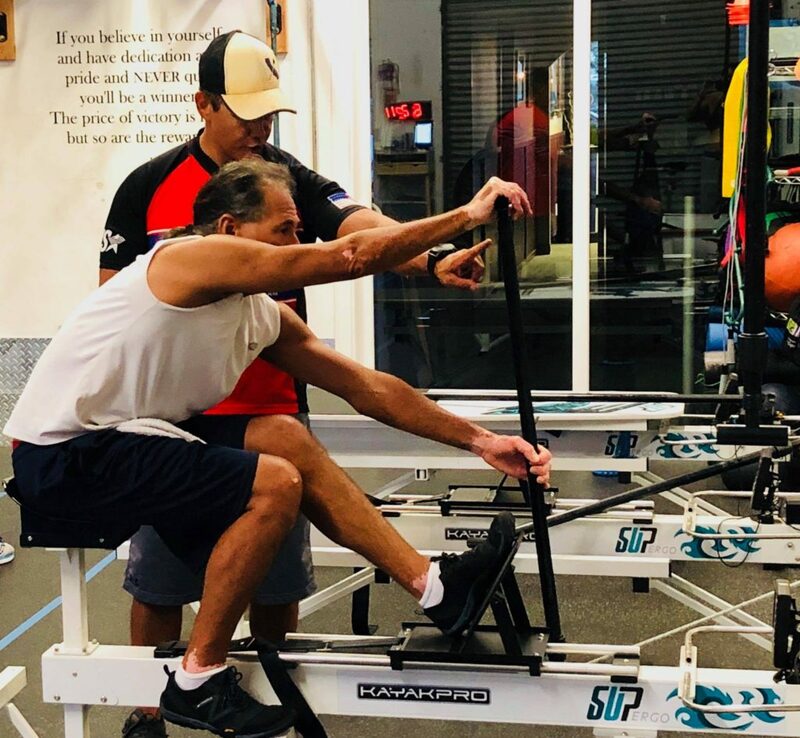 We feel PaddleSynergy is a cut above the rest in the paddling improvement aspect, in that our sessions won’t just make you leaner, stronger, and lighter but our workouts are specifically designed to help you become more proficient and comfortable on the water, which in turn equals greater speed and performance. We should know…we paddle too!! We want to help you succeed and quite honestly want to share a watercraft/the water with you someday! Our “why” and “purpose” is to help you succeed which in turn is our success. Paddle Synergy will help you lose weight, get strong, build endurance and help improve your paddling technique. What other gym out there can do all the above for you? No time? No water? No Problem!